Nail wraps, nail shields... however you would like to refer them- this mama loves them! I will be honest. Since giving birth to baby girl a little over a year ago, my fingernails have not seen a whole lot of love. I rarely get enough time in between feedings, changing diapers, taking the dog out, picking up the son from practice, loading the dishwasher, and on and on to sit down and paint my fingernails & then actually having enough time after that to let them dry. I had pretty much given up on the pretty manicures because I had figured what was the point? If I couldn't get a solid hour of time to myself to properly paint them & then let them dry, why waste my time just so they could get messed up or smudged pretty much immediately? How cute are these Valentine's Jamberrys Susan sent me?? This is where Jamberry Nail Shields come in. ;) Easy to put on (you do need a solid 20 minutes to apply them), no dry time, and bonus you can start your manicure and then come back to it and finish it up later if the dog gets into the trash or the baby starts crying and needs picked up. Now I have tried other nail wraps (& I still like those too), but Jamberrys are different because you apply them with the heat of your blow dryer. That 10-15 seconds of heat makes the shields adhere stronger and therefore your manicure lasts much longer than the conventional nail shields you can pick up at the drugstore. 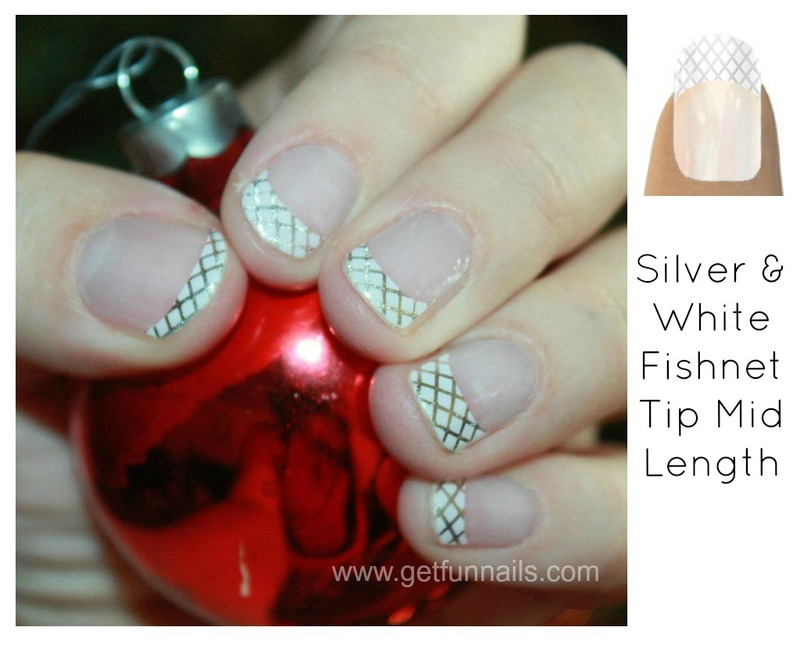 - Use nail clippers to make the initial cut of the nail wrap. I had been using manicure scissors, but nail clippers make so much more sense. - One you have the shields adhered, use baby nail clippers to trim the little edges and make the shields nice & neat around your tips! Genius. I would like to cordially invite each of you to attend my Jamberry Facebook party. Every order placed will be helping my friend Susan save for her and her husband's adoption fund. Also, you will earn major bonus entries in the little Jamberry giveaway we have going on below. We will be giving one of you all a free set of Jamberry Nail Shields in the Silver & White Fishnet Tip (that is it pictured below)! *This giveaway is open to US residents only. All entries for the winner will be checked and verified, so please make sure you are doing what you are claiming in the Rafflecopter or all your entries will be voided. No funny business, folks. ;) Please see the Rafflecopter widget below for additional Terms & Conditions. Good luck, all! I'm kind of traditional, so I really like the white french tips and the solid mint green ones, for a funky day! I remember seeing this pictures before - on your Instagram, I think? - and being impressed with how good your nails looked! So I'm totally off to go pick up a set. I love having pretty nails, but they never seem to stay very pretty for long. 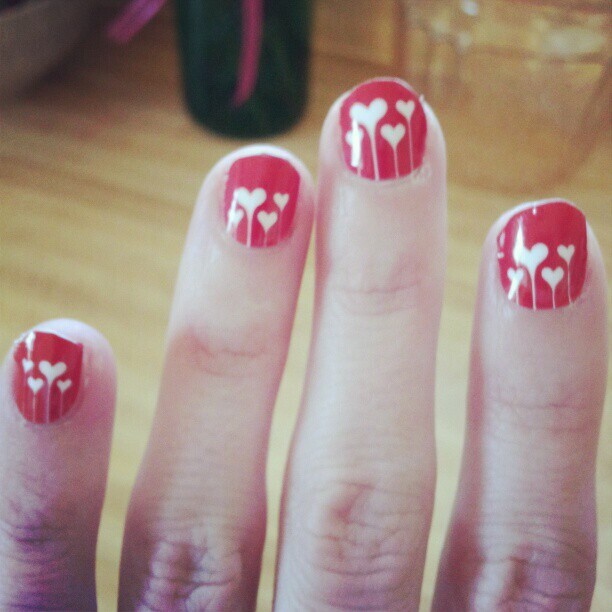 I like the red with hearts, so cute! Love these! Adore the leopard!